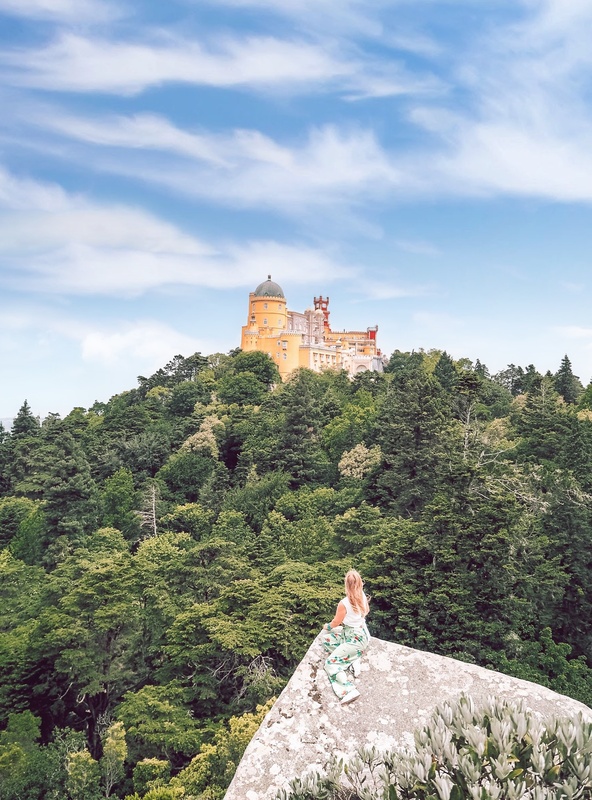 I bit into Pasteis de Cruz Alta, a dangerously delicious egg and almond pastry named after the highest point of the Sintra Mountains, and looked around in contentment. It was my second day in Portugal with Visit Cascais, and we were starting it off at Casa Piriquita – an unassuming, 19th C bakery perched alongside a steep street in downtown Sintra. 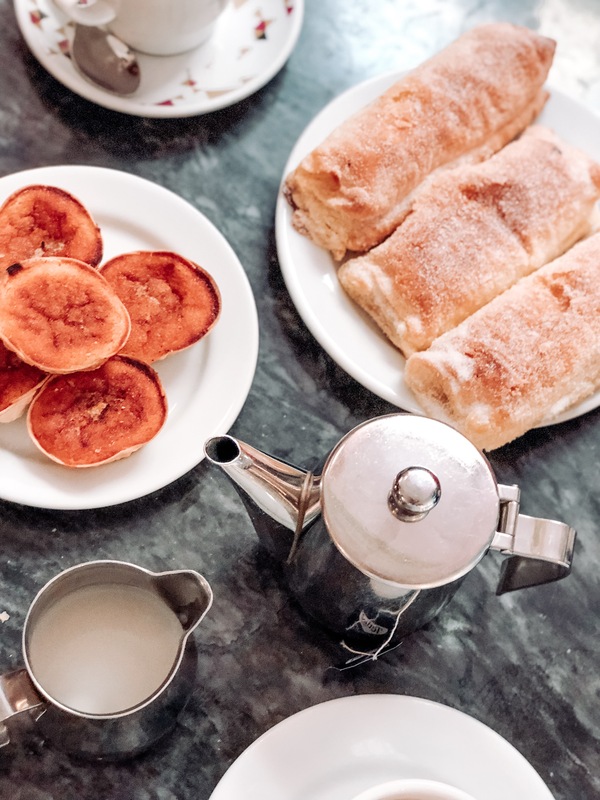 Practically unchanged since the 1800s and decorated with azulejos, Piriquita’s been ran by the same family for five generations and remains one the town’s most popular breakfast spots. I later discovered that this mix of tradition and modernity is somewhat typical for the area — it’s as if Portugal found the way to seamlessly blend the past with its present-day identity. 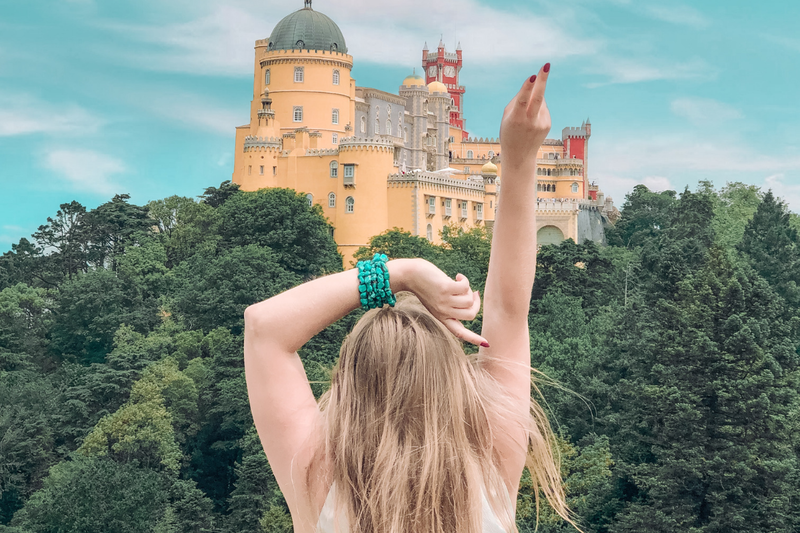 Take Pena Palace for example, only a short drive away from Sintra. 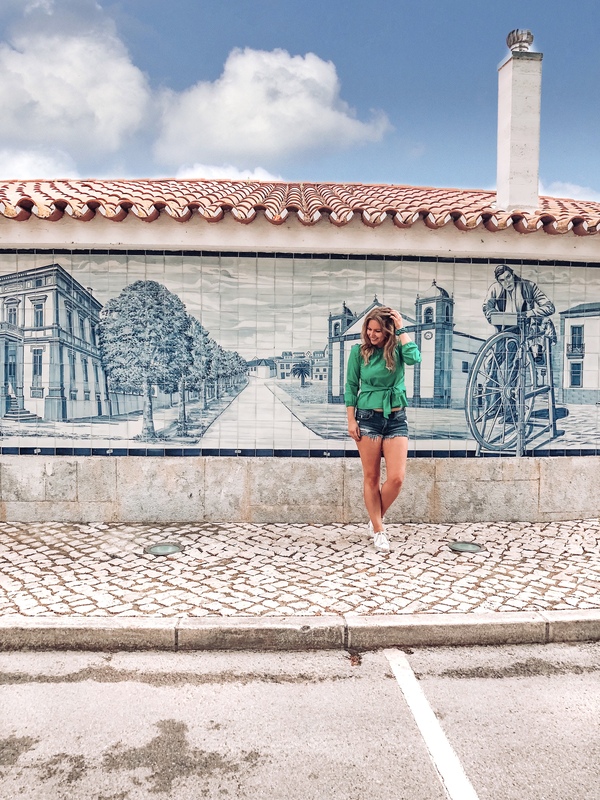 Built on the remains of a former monastery, its colours bringing to mind the cheerful streets of Burano and Cape Town rather than your typical castle, Pena blends Manueline and Moorish traditions into a modern day fairytale. Visible from every part of the Pena Park, the bright colours of the castle walls are the perfect reflection of the region – vibrant and rich in colours, smells, and experiences. I finished my tea and stopped myself from finishing up the crumbs that remained from what’s got to be one of the best pastries I’ve ever eaten, only to be waved goodbye with a box filled with a fresh supply – a gift from Piriquita’s owner. A bag of warm pastries in hand, I headed outside and smiled at the sunshine. Today was a day for adventure. When Visit Cascais invited me on the trip, I knew I was in for a treat. I’ve been to Portugal twice before, to Lisbon and Lagos, and each experience left me wanting more. Portugal has a way of making your soul sing. 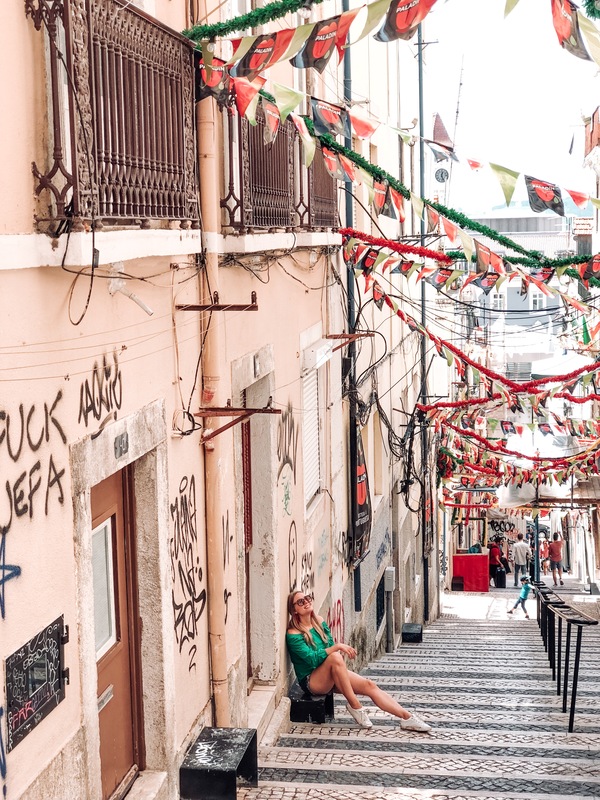 Be it Lisbon, with its steep, colourful streets; the charming coastal towns, their shores lazily washed by the Atlantic as the sun shines on; or the national parks, speckled with castles straight out of a fairytale — the energy here is contagious. Sat right by the Atlantic, its coastline stretching for 30km, Cascais acts as a bridge between the vibrant city life of the capital and the nature of the East coast, marked by the Sintra-Cascais National Park. Cascais may be small in comparison to Lisbon, but what it lacks in size, it makes up for in culture and nightlife. 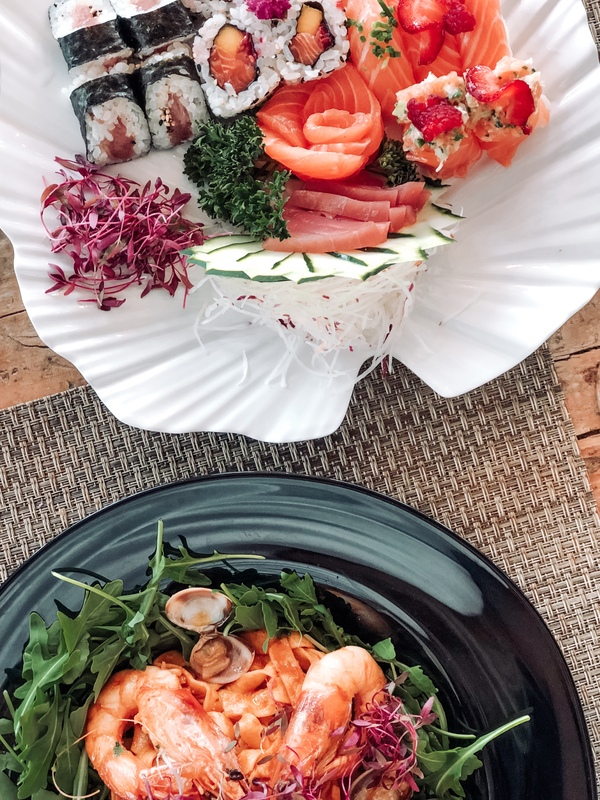 Aside from the charming old town, its cobblestone streets lined up with colourful, tiled houses and the Atlantic Ocean sparkling in the distance, Cascais boasts a rather impressive choice of cafes, bars, and seriously trendy restaurants. The Mix at Farol Hotel, a gorgeous seaside spot combining contemporary art with great food and equally stunning sea views; The Reverse Restaurant where you can enjoy some of Cascais’ best seafood from the comfort of the poolside; the lovely Restaurante Maria Pia and Taberna na Praça – an atmospheric tapas restaurant combining library and dining into one, are just a few options worth exploring. This, coupled with the fact that the town happens to be home to Europe’s biggest casino, are just a few reasons why the local nightlife will keep you on its toes. Cascais managed to avoid the fate of many other coastal destinations whose popularity turned them into tacky tourist traps and retained a sense of culture and sophistication. The perfect example is Hotel Cascais Miragem where we set our base. There are many reasons why I have a soft spot for this place – as a travel blogger, I’m incredibly lucky to visit lots of wonderful hotels but the welcome we’ve received at Miragem had to be the warmest one yet, complete with cocktails and a canapé reception on the terrace overlooking the Atlantic. Built in the shape of a cruise ship, the 5-star hotel oozes luxury in a classy, non-ostatencious manner. Just like the town itself, Miragem merges tradition with contemporary design. From the gorgeous rooms facing the seaside, to the spa and water room facilities – including an outdoor pool, two indoor pools and a salt water bath complete with a sauna and Turkish bath, the hotel is an oasis of relaxation. 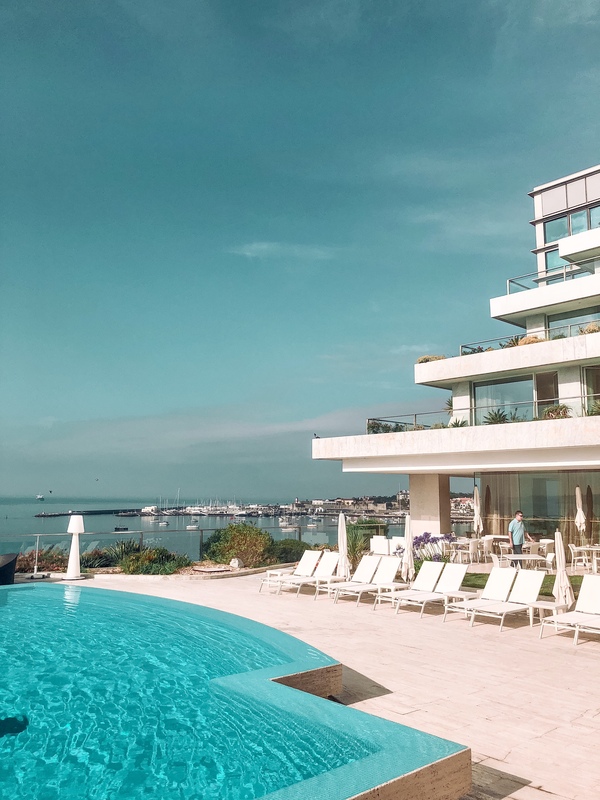 It rarely happens that I find it hard to decide between staying in and exploring, but Cascais Miragem made this choice a particularly difficult one! Cascais’ location makes it perfect for exploring the coast, including the stunning Sintra-Cascais Natural Park. 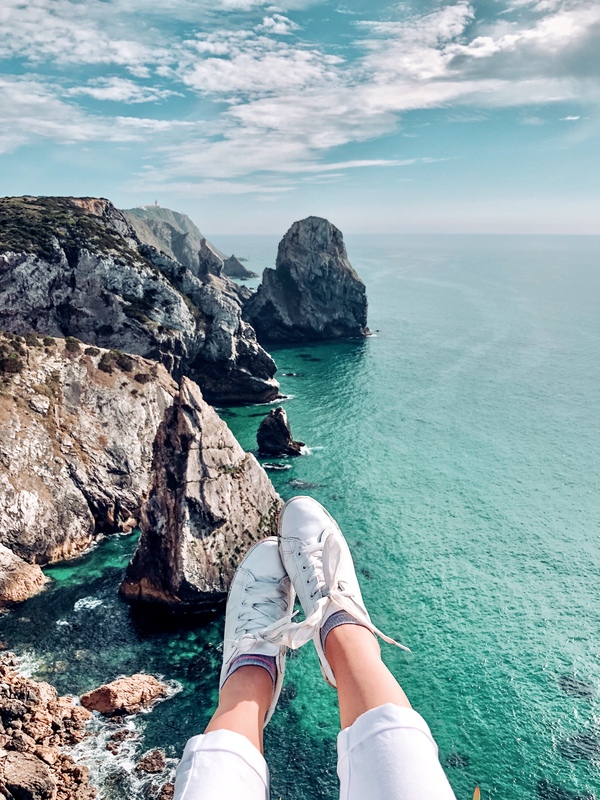 Stretching from the mountains of Sintra to the beaches of Cascais, it’s home to gorgeous landscape and nature, including Cabo da Roca. Europe’s Westernmost point, its rugged, windswept cliffs unveil what’s got to be one of the most spectacular sights on the Portuguese coast – or perhaps in Europe alone! The dramatic sights and the emerald water at the bottom of the rock bring to mind the exotic landscapes of Thailand rather than Europe, and are not a view to be missed. 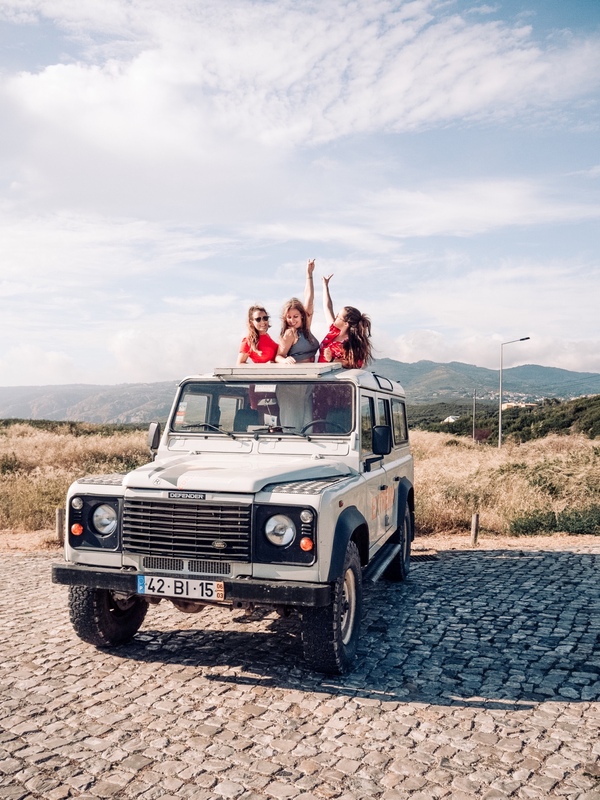 True to the adventurous spirit of the region, my travel companions and I were very lucky to explore the area on a jeep safari with Extremo Ambiente – a local tour company specialising in tailor-made travel. 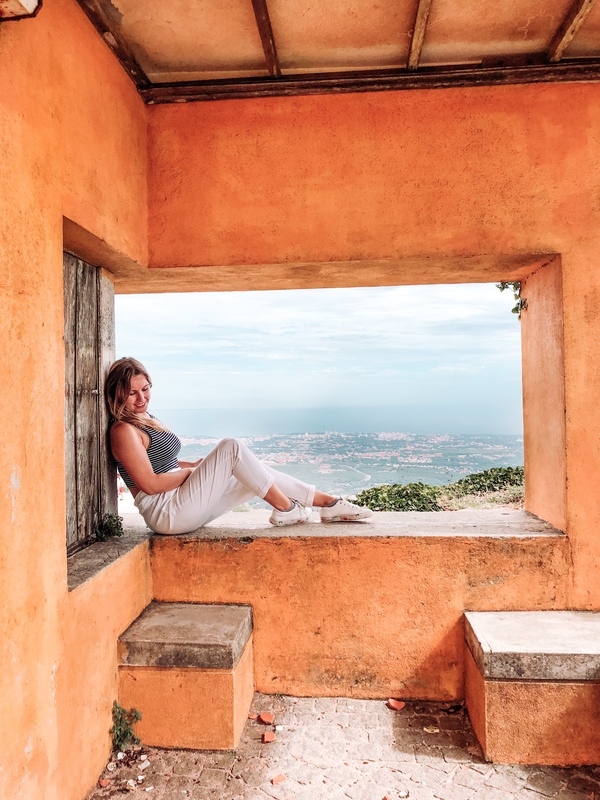 Aside from getting windswept at the Cabo da Roca, we’ve made a stopover at Santuario da Peninha – an isolated chapel perched on a craggy outcrop with stunning coastal views at its feet. With the National Park to the east, Cascais is only a 30min drive from the heart of Lisbon. Lisbon is one of those cities where you just can’t help but smile. It’s as if someone opened a giant bag of Skittles and sprinkled colour everywhere. I loved strolling through the steep, cobblestone streets, taking in the smells, colours and sights. The energy here is contagious and it seems impossible to get enough of it. 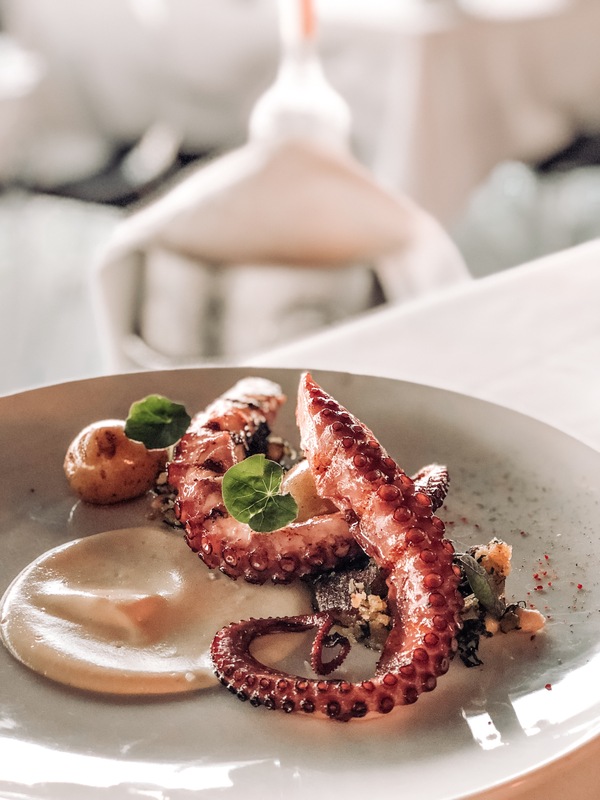 Lisbon’s best enjoyed the same way you’d bite into Portuguese food – slowly and delectably. But if like me you’re short on time, then I recommend heading to the Timeout Market to refuel before taking on the city’s many steep hills. Why? 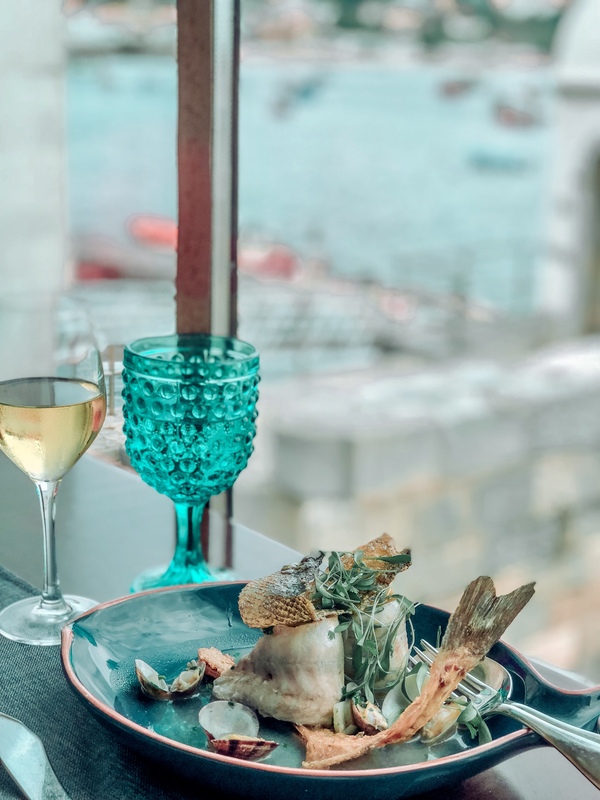 This historical food hall houses 32 of Lisbon’s best and most popular restaurants, giving you the chance to get a taste of Lisbon all under one roof. Think of it as a permanent pop up. Don’t leave without trying pasteis de nata from Manteigaria (it’s meant to be the best place for pasteis after the famous Pasteis de Belem) and seafood from Marlene Vieira. 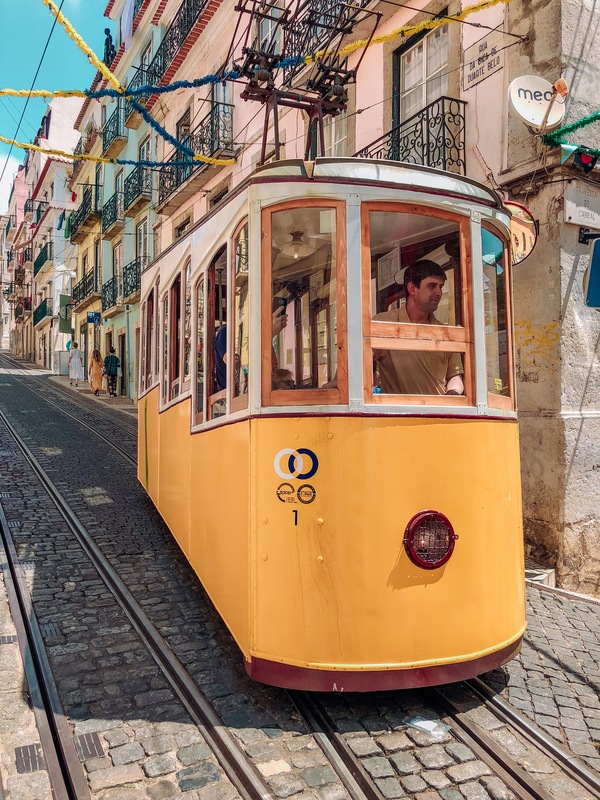 Just a short walk away from the market lies Calçada da Bica Pequena – a steep, narrow street that turns into a tram track whenever trams make their way up and down the street. It’s incredibly charming and makes for a great starting point after your lunch at The Timeout Market! Lisbon’s Pink Street, or Rua Cor-de-Rosa, is another great stop. 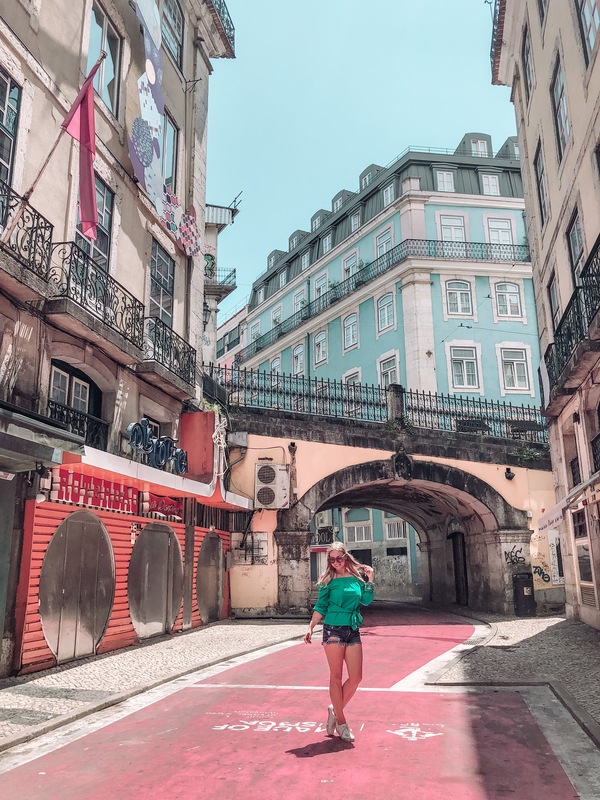 Quickly becoming Lisbon’s most Insta-worthy spot, courtesy of the pink paint covering the road, the brightly-coloured street has an equally colourful past. Once a hang out (ahem) spot for sailors, criminalsand prostitutes,Rua Cor-de-Rosa underwent a major facelift back in 2011, swapping its Red Light District past for millennial pink. Judging by the amount of influencers and bloggers striking their best pose for that perfect shot (guilty! ), it certainly seems to be working. 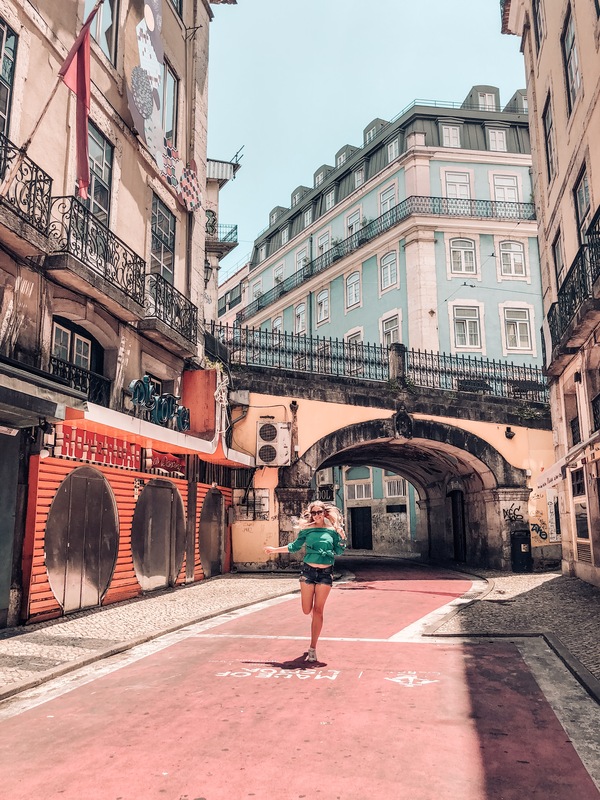 The street is a part of a popular area called Cais do Sodré, home to many cozy cafes, bars, and streets so colourful, they literally burst in character. Lisbon streets are a wonderful maze of colour and wonder, but there’s nothing quite like admiring the city from the top. Lisbon has 16 official viewpoints, or miradouros, and you can read more about them on Timeout’s website. 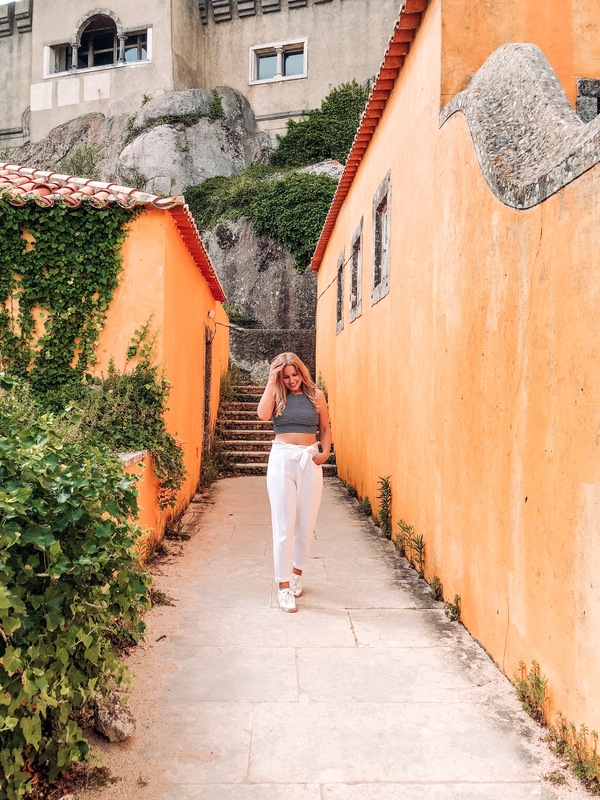 Sun-drenched, rich in colour, culture and sights that will quite literally take your breath away, Cascais and the surrounding areas are like a little spa for the soul – they will leave a smile on your face, salt in your hair and memories that will keep making you coming for more! Many thanks to Visit Cascais for making this trip possible. As usual, all opinions are my own.